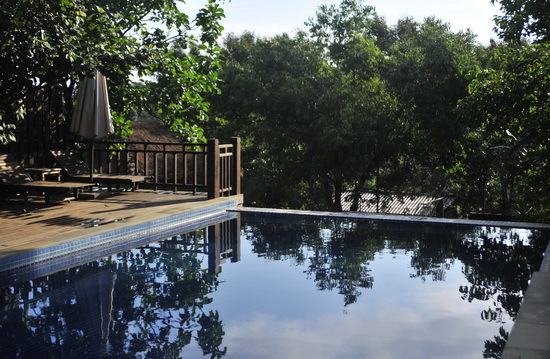 With beautifully decorated villas set in landscaped gardens, overlooking a pool, kids play area and the lush, lush hills of Mondulkiri, the plush Mayura Hill Resort is a luxurious alternative to Sen Monorom’s more low-brow guesthouses. 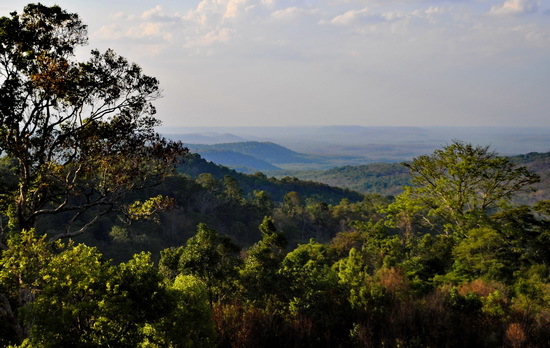 Located a 10-minute drive from what passes for downtown and set on a hillside overlooking Sen Monorom Mayura (meaning peacock in Khmer), Mayura makes for a special place to stay for those willing to spend a little more. Ad Book now! Rates from US$79++. Average rating 8.6 from 80 reviews. The Mayura has just 11 tastefully-furnished, air-con rooms spread throughout the extensive gardens — expect wild macaques and even the occasional boar to wander through. 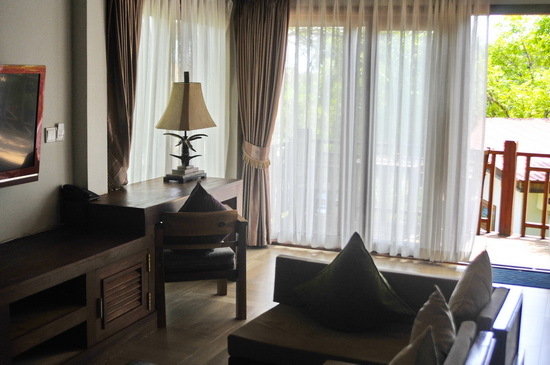 The suite-style rooms are huge, with a dining and lounge area with a widescreen TV and DVD player. (There’s not a lot to do in the evenings in Sen Monorom!) The bathrooms alone are larger than some Phnom Penh hotel rooms we’ve stayed in. Each room comes with a spacious verandah to relax on as well. 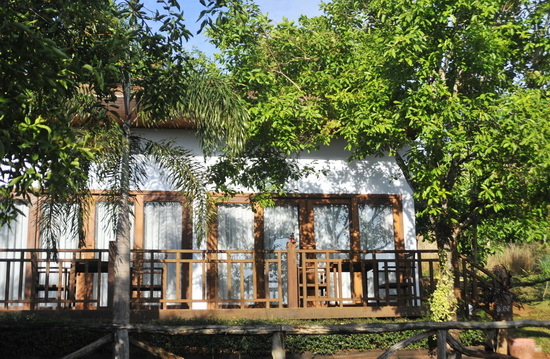 The resort is well equipped with a gym, infinity-edge pool (the only pool in Mondulkiri that we saw), a kids’ play area, and a pleasant restaurant and bar overlooking a small pond where you can enjoy the included breakfast. We’re told this is the best restaurant in town, though sadly didn’t get a chance to check that out. Not a bad view to wake up to. Rooms are not cheap but overall solid value when you compare them with what you can get elsewhere for a similar price. Plans are afoot to add a group of mid-range chalets. The owner, a young Khmer guy from Phnom Penh, impressed us with his enthusiasm for the local flora and fauna and provides a set of reference books for guests to browse on birds, mammals, butterflies, flowers and so on. The resort is slightly too far from town to walk but a daily free return shuttle running into town means you won’t be stuck, while motodops charge a dollar for the trip, so it’s easy enough to get into town for a wander around the market or to check out Sen Monorom’s admittedly limited supply of cafes and restaurants. Low key but well appointed. The helpful staff are on hand to suggest and arrange activities and trips, and can supply guides and transport. The resort owns a zip-line at Bou Sra Waterfall that was set up and is now maintained and staffed by the people behind Flight of the Gibbon. If zip-lining across waterfalls isn’t your thing they also work in collaboration with the Elephant Valley project. 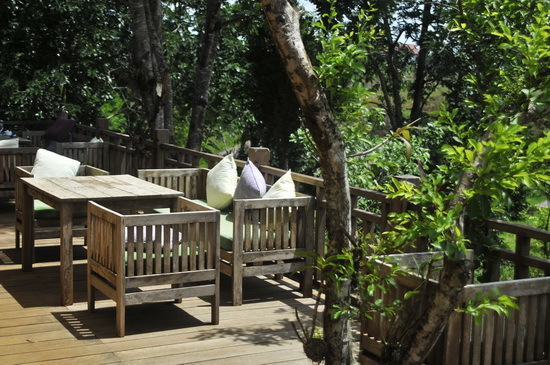 Mayura is a great spot to chill out, with plenty to keep you busy for a few days. Note that low season discounts may be available. Last updated on 13th November, 2016. Check rates at Mayura Hill Resort on Booking.com. 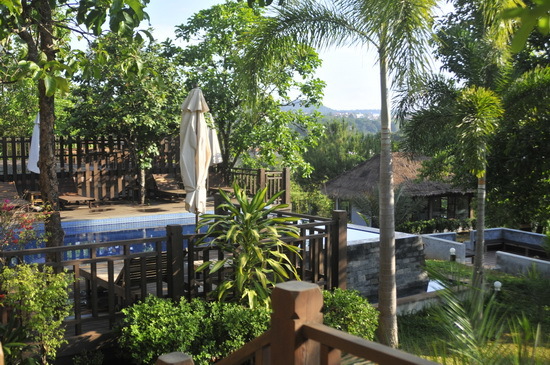 Room: Standard double room, low season: US$120, high season US$120. Notes: Standard villa. Room: Family room, low season: US$150, high season US$150. Notes: Family villa. Where are you planning on heading to after Sen Monorom? Here are some spots commonly visited from here, or click here to see a full destination list for Cambodia.